(AAA) – Gas prices in Florida are 8 cents higher than a week ago as gas prices are trending lower after an abrupt jump at the pump last week. The Florida average of $2.80 is 12 cents less than this year’s high, yet remains 66 cents more than this time last year. Florida gas prices quickly jumped Wednesday and Thursday, after reports surfaced of seven gulf coast refineries dealing with various operational issues. Some of the issues have already been resolved, while others could take weeks. For instance, the Motiva refinery – the largest in the country – suffered a mechanical outage to one of their catalytic crackers. This is the most important component for converting oil to other fuels. The outage will likely cause a reduced output from the plant, and may not be resolved until August. “Fortunately, fuel prices plunged on the stock market last week, which created adverse pressure to the rising prices caused by refinery issues,” said Mark Jenkins, spokesman, AAA – The Auto Club Group. On Wednesday, oil prices plummeted nearly $4 and gasoline futures fell 10 cents. Some of those losses were recovered by Friday with gasoline finishing even with the week before, yet oil remains $2.79 lower. The price for a barrel of WTI settled at $71.01 on the NYMEX; $3.14 less than this year’s high, set two weeks before. The slump in futures prices was the result of growing concerns of an international trade war, added strength in the U.S. dollar, lower gasoline demand numbers, and news that Libya would resume oil exports. 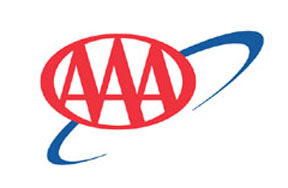 AAA’s free app compares gas prices near you.